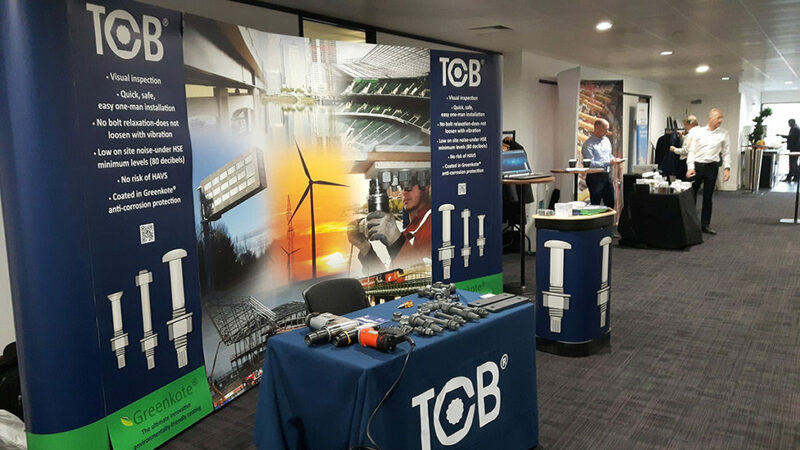 TCB Ltd were pleased to attend, exhibit and deliver presentations to COSTAIN temporary works and design engineers at 3 separate COSTAIN supplier events across the UK. TCB are proud members of the Temporary Works forum promoting best practice in the construction industry. Temporary Works are an important aspect of most projects and are usually safety-critical. A recurring theme was World Quality Week. TCBs are associated with risk aversion and a focus on quality so the presentations resonated with the audience and chimed with the theme. In general a very friendly crowd with hands on site engineers keen to relate their positive experiences of TCB installation.